I only have two words for you: I'M DONE. After everything I've done for you, every chance that I gave you, and yet you still break my heart. But it's over now. Finally I've realized that I don't deserve this and honestly, you don't deserve me. 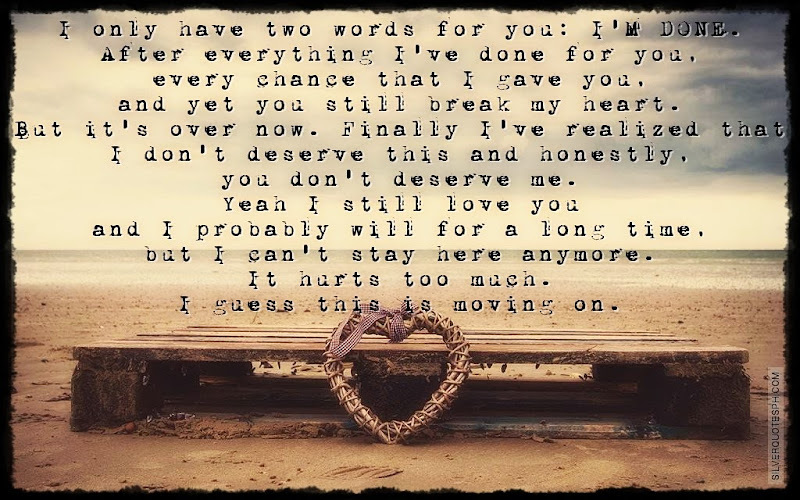 Yeah I still love you and I probably will for a long time, but I can't stay here anymore. It hurts too much. I guess this is moving on.